With the Brewmaster Bucket, they took an already awesome product, the Brew Bucket, and added some key features that consumers are hungry for. 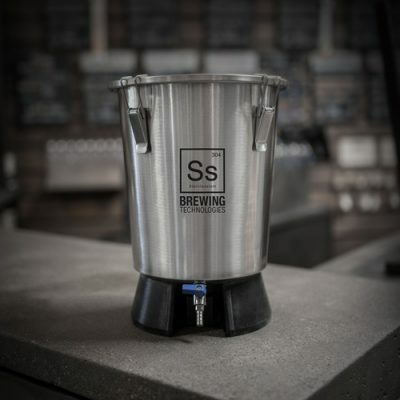 What really sets the Brewmaster Bucket™ apart from other fermenters are features such as stacking during ferment or the included rotatable racking arm and ball valve spigot assembly. What other fermenter on the market allows you to stack one on top of another even with airlocks plugged into the lids? 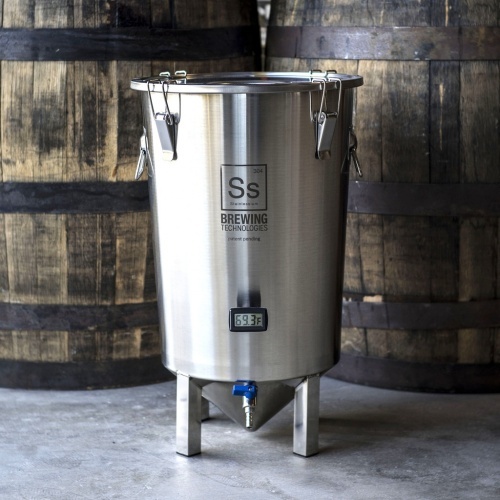 The Brewmaster Bucket comes with a weldless 304 stainless steel thermowell and LCD temperature gauge with a silicone housing. The integrated racking arm is an ingenious design allowing for easy rotation during racking along with easy cleaning. 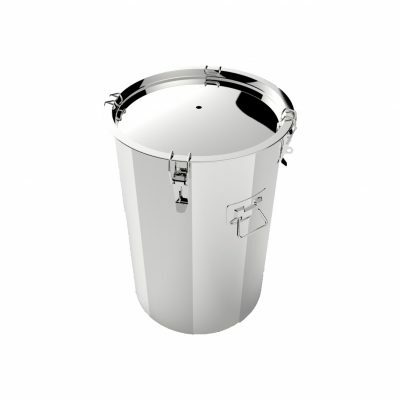 The Brewmaster Bucket’s conical bottom allows trub to settle out nicely in a more concentrated space and has the effect of minimizing the surface area of your beer that is contact with the trub during ferment. 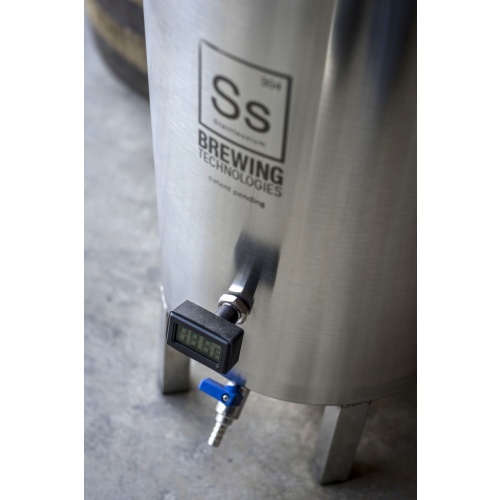 Brewer’s grade 304 stainless steel construction, integrated racking arm / ball valve assembly, stackable design, and conical bottom…. That’s an awful lot of fermenter for the money!